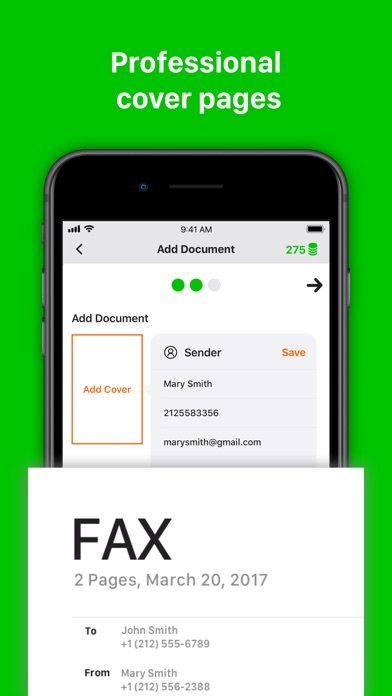 Tiny Fax turns your iPhone or iPad into a fax machine for documents, photos, receipts and other texts. 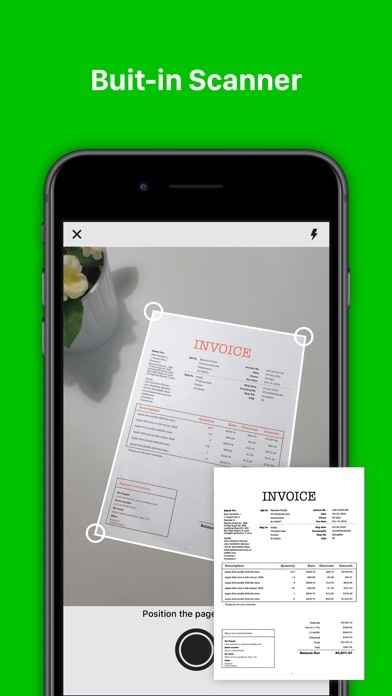 With Tiny Fax, you can fax them anywhere. Tiny Fax is extremely easy to use. The interface is simple and very convenient to manage your faxes. 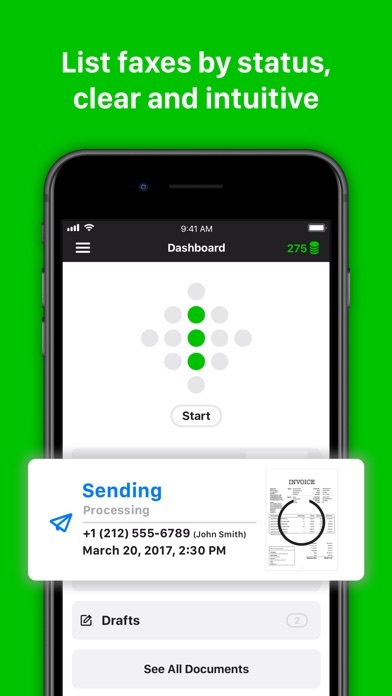 Features: - Fax documents from mail and other apps. - Fax documents from Dropbox, Google Drive and Box. - Fax images from camera roll or using camera. - Provide international fax numbers and list of countries. - Professional cover page. Sent for free. - Archive documents by status, easy to manage. Cost: Each fax page costs between $0.60 and $0.25 depending on how many credits you buy at once. Faxes to the USA and Canada are 10 credits per page. The others are 15 credits per page. Download and start to use Tiny Fax to make your life easier. Please write to us before leaving negative reviews, as we can often help with your problem or help you better use the app. If you have any problem or suggestions please send a mail to tinyfax@appxy.com, and you will get the response and solution in a short time. This app was super easy, very reasonable and fast! I’m so happy I found it! 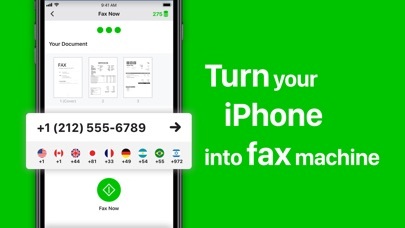 This app makes it so easy to fax from wherever you are. This the best fax service I have ever used and continue to use. I carry my fax machine in my pocket and use it whenever I need it. I needed to send a fax letter to my insurance company. Who the hell faxes anymore? So I wrote the letter in my “notes” took a screen shot and was able to fax it. Without leaving my desk. Brilliant. I have been using tiny fax for years already and every time I use it, it totally makes my heart happy!!! They couldn’t have came up with a better way to save you time n money!!! So far so good!!! Easy too!